A Kirkby driver who cut a corner and ran over a pedestrian, breaking both his legs, has been fined, a court heard. Nicky Williams hit the man at the junction of Berry Avenue and Greenwood Drive, at 7.40pm, on February 24. Both the pedestrian’s legs were broken, the left in two places, and his hands and wrists were cut and bruised. Prosecutor Robert Carr said: “The man says he checked in all directions. He looked up and saw two headlights. His legs were hit and his face hit the windscreen. When he was interviewed by police on March 16, Williams accepted that he cut the corner. He said he had defrosted his windscreen, but it was still a bit frosty. 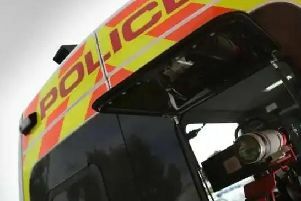 The 27-year-old, of Bannerman Road, admitted driving without due care and attention, when he appeared at Mansfield Magistrates Court, on Friday. Magistrates fined him £180, with £85 costs and a £30 government surcharge. His licence was endorsed with six points.